Within the activity input form, there is now a column for the source of a scholarly work (e.g., Manual Input, Web of Science, etc.) in the Scholarly Contributions section. 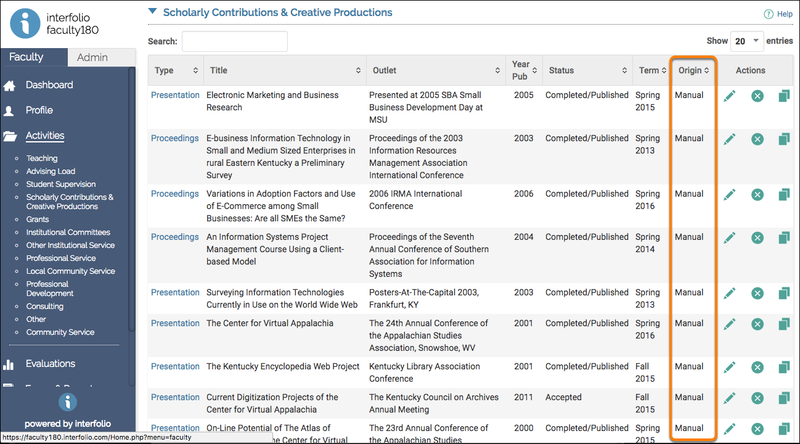 While a faculty member is looking at their Activities page, and viewing the Scholarly Contribution section (name may vary), they will now see a column indicating the source of this entry. 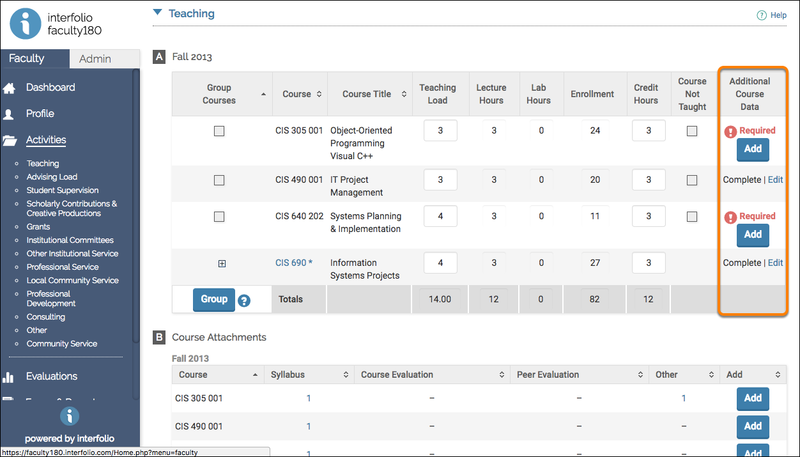 Administrators can now delete university-level input forms, as long as they aren’t the “primary”/base Activity Input. When on the form configuration screen (Admin Tab> Setup>Activity Input Form) administrators with the proper permissions can now delete university-level input forms, as long as they aren’t the ‘primary’/base activity input form. When deleting a form, this dialog box will display to confirm the deletion while there are existing evaluations associated with it. The attribution statement for Web of Science imports has been updated to the most recent version. Data pulled from Clarivate Analytics Web of Science on Sep 20, 2017. * Copyright 2017 Clarivate Analytics. All rights reserved. You may not reproduce or re-distribute this data in whole or in part without the written consent of Clarivate Analytics. To become compliant with ORCID's standards we have updated the ID to display in the new format. This is available in the same location, within the 'View Profile' section.